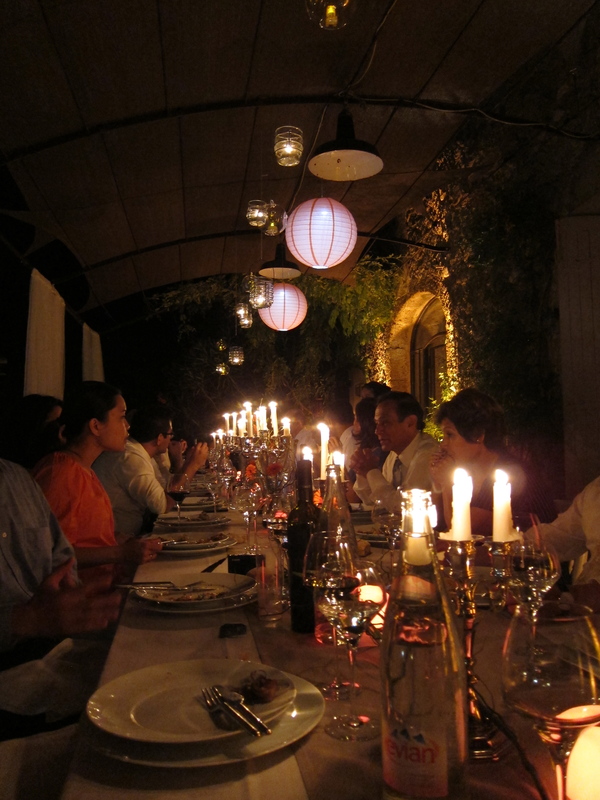 My first wedding in Provence! In the Spring of 2010, a friend and elementary school classmate of my husband’s called us to talk about planning a wedding in France. They had gone to the french-american school together. She had spent some time here in University and later she got engaged in Paris. 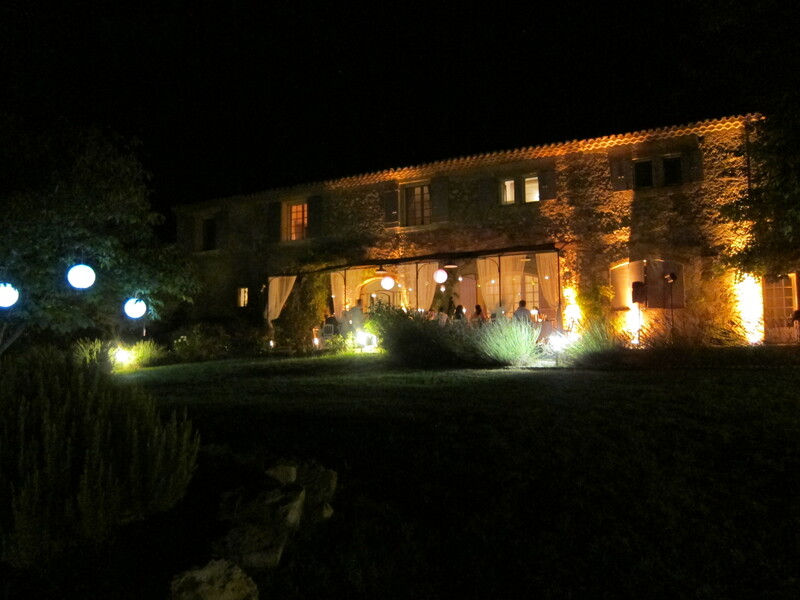 France was very important them as a couple, so it was natural that their dream wedding take place here in Provence. My first clients! This wedding was the perfect opportunity to explore the region and start getting my vendors in line for my new business. I actually had something to talk to them about now. I spent over a year discovering the rules for getting married in a church in France, finding photographers, looking for quality caterers and freelance hair and make up artists. It was an incredible year of reconnaissance that I needed in order to ramp up my business. Working with people I knew as my first clients was perfectly ideal. For the entire process, all the way through the day of the wedding, they were calm, flexible and generally some of the nicest people you will ever meet. 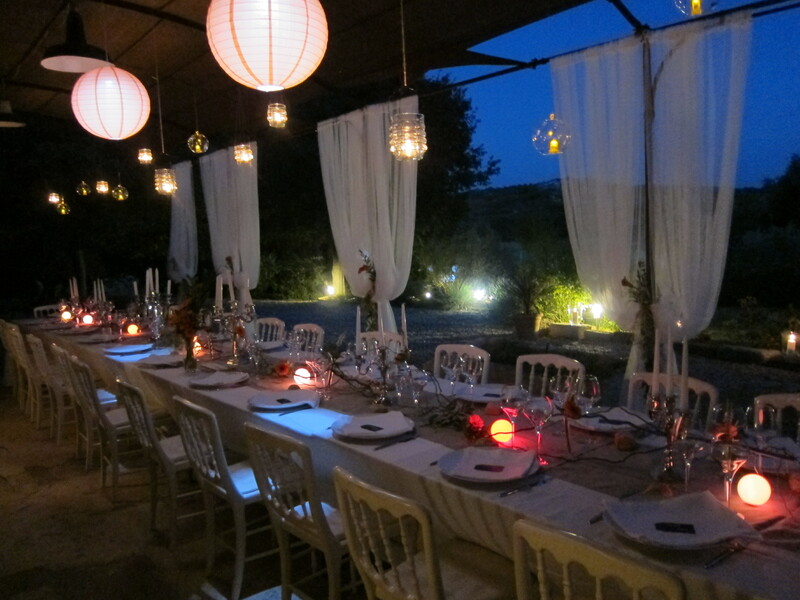 I couldn’t have asked for more dreamy clients….especially for my first french event. On the day of the wedding my husband and I started early with the decor that I had purchased. We transformed the terrace and the pool deck by removing all of the regular furniture and umbrellas. I have to admit that I am rarely this hands on and am used to someone else doing all of the hard labor, but it wasn’t really that much and it was of course just for 26 people. We set up the rentals and the florist and caterer took care of the rest. I feel I got lucky with my vendors for a first time working with them. One never knows exactly how that’s going to work out do we? I kept wondering why I hadn’t seen the bride all day long and when it was time to take her to the château to get her hair and make-up done, I found out she had been purposely avoiding seeing the set up until she returned for the reception. Just precious. The day continued to go smoothly as everyone arrived on time to do what they were supposed to do…videographer, photographer, hair & make up artist, musicians and even the transportation to the church. You have to worry a bit here in France because people are not so quick to answer emails, return phone calls or process requests, but in the event industry, they do seem to be a bit more responsive than others. The evening turned magical as the sun went down. They danced through the cocktails, to the latin band, until it was dark. 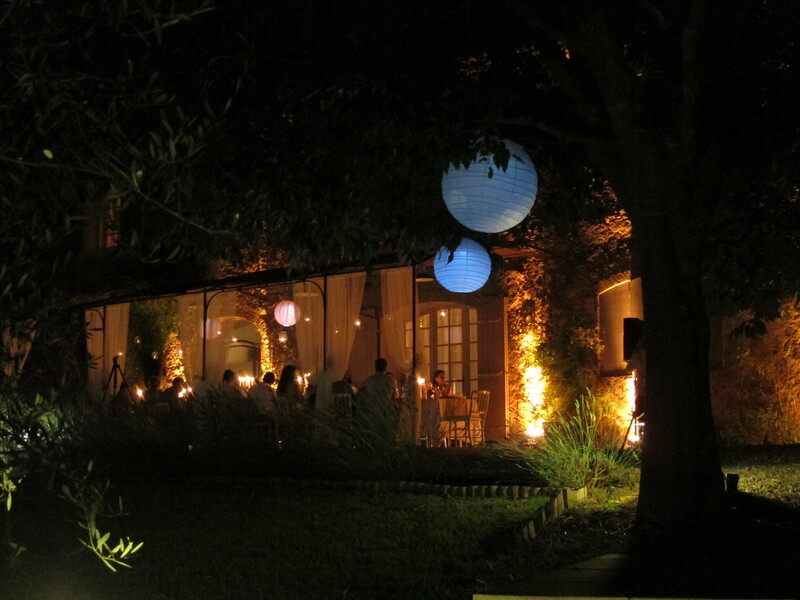 The candles, paper lanterns and up lighting on the house really made the house look more special than it ever has before. This is one of my favorite things about events, creating more beauty in a space than what you see in its’ normal state. The bride, groom, family and friends were all elated that everything was so beautiful and that the weather had even cooperated perfectly. I couldn’t have been more happy with how it all turned out myself. The family never stopped thanking me the entire night and right up until they were pulling out of the driveway. I can’t wait to do more events both here and in other luxury vacation homes around the region! Next PostNext Event Producers vs. Venue Managers: What’s the difference? Event Producers vs. Venue Managers: What’s the difference?